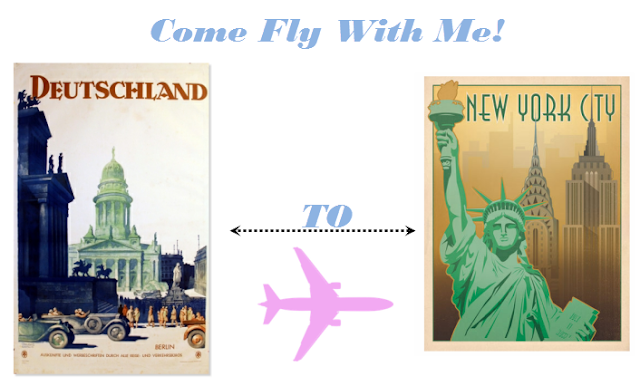 Travelling Fashion : Come Fly With Me! That's right folks I must leave Berlin and my husband to head back to the US. My visa in the UK has expired and I am coming to the end of the 90 days I can spend in Germany. Don't get me wrong I love going home but this means the end to the nearly 7 years I have lived in Europe. So it is on to a new adventure and adjusting to an American life style. 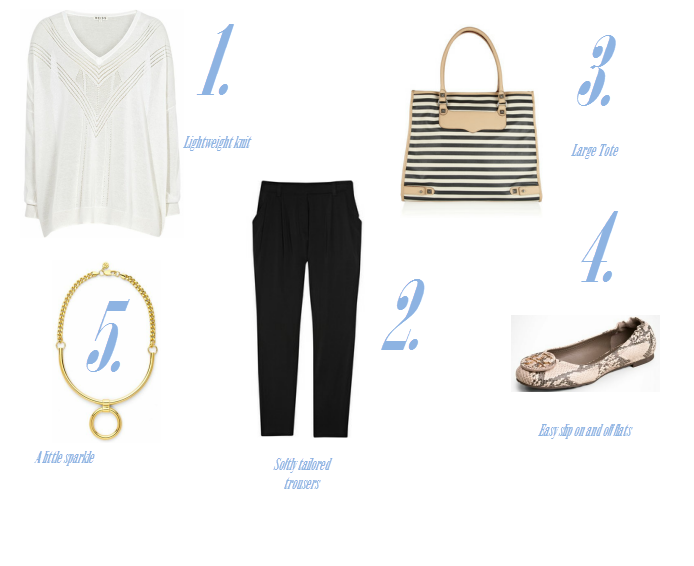 In honour of my travels back I thought I would share with you my formula to a great travelling outfit. I am someone who 100% believes in dressing to travel. I don't mean 1960s shift dress and matching jacket, but taking pride in how you look. I cringe at the thought that people think hoodies and matching pink track suits are acceptable travel wear. 1. A Lightweight Knit is perfect for travelling. It will keep you covered up but at the same time it will not be too restricting. 2.Softly Tailored Trousers are dressed up but still comfortable if your sitting on a long haul flight. 3. A Large Tote is perfect for storing your computer and all the glossies you buy at the news stand. 4. Easy Slip On And Off Flats are a must while going through airport security. 5. A Little Sparkle just to pull everything together.